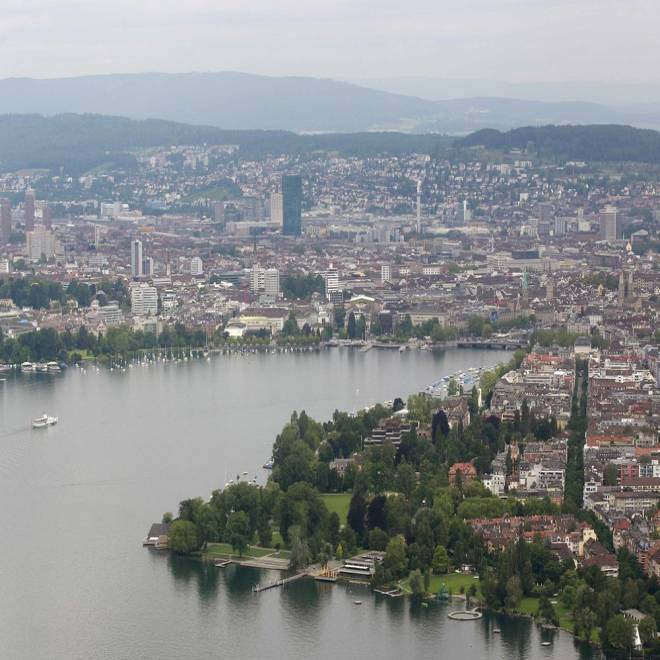 Zurich, the second most expensive city in the world to live, at least according to Swiss bank UBS. Oslo and Zurich clocked in as the most and second most-expensive cities, respectively, in a survey released Friday by Swiss bank UBS. UBS Wealth Management’s annual survey of 72 cities examined the price of a basket of 122 goods and services, adjusted for currency fluctuations. The cost of living index was calculated by dividing the price of goods by the weighted net hourly wage in 15 sectors. "In Tokyo it takes nine minutes of work to earn enough to buy a Big Mac, while in Nairobi it takes 84 minutes," it said. UBS has been conducting this study since 1970. Some figures are updated yearly, and the entire survey is recalculated every three years. The study was last updated in 2009. Over a monthlong period, researchers in each respective local market collected more than 50,000 price and earnings data points, creating standardized baskets of goods for comparison purposes. Prices and earnings very converted into a common currency, using exchange rate averages over the monthlong period during which the data was collected. Researchers noted that currency fluctuations are one main reason why figures can change sharply between one survey and the next. “When comparing data over an extended period, exchange rate trends play an especially crucial role,” they wrote. Policymakers’ responses to the financial crisis were also reflected in the ranking. “The appreciation of numerous currencies against the major currencies since 2009 has been additionally boosted by the expansive monetary policy in the euro and dollar zones,” the report said. While a handful of U.S. cities are among the full list, only New York City cracks the top 10. Switzerland has two of the top five. Below are the top 10 priciest cities in the world compared with their 2011 rankings, along with how long it takes the average resident to earn enough to earn a Big Mac and a 16 GB iPhone 4S, respectively. Along with Zurich, Oslo is around 20 percent more expensive than the rest of Western Europe. Residents here spend the most on goods and services each month, around 68 percent higher than the global average. Zurich is the most cost-effective place to buy an iPhone, although an average cost of $1,300 for a weekend stay makes it the most expensive place for visitors. Tokyo claims the top spot in the Big Mac ranking, but it is 50 percent more expensive than most other Asian cities. Aside from Tokyo, Geneva has the highest food costs, with monthly food spending at $715 compared to a global average of $424. Copenhagen commands the third-highest wages after Zurich and Geneva, respectively, and clocked in with the highest purchasing power as determined by gross hourly wages. New York is tied for second place with Hong Kong on the Big Mac index, but it’s the most expensive place to rent a three-room apartment with a monthly cost of $4,300, on average. Luxembourg ranked third-highest when it came to citizens’ overall domestic purchasing power, behind Zurich and Sydney, respectively. Good news for rank-and-file workers: Stockholm’s top salary is only about double of what lowest-wage workers earn, the smallest wage gap in the world. UBS said appliances and electronics are most expensive here due to overall price inflation. A basket of representative items costs $8,460, compared with $3,960 in New York City. London jumped a total of 11 spots since 2009, five in the last year alone. Its residents also pay the most to fill their gas tanks, with gasoline at an average of $2.40 per liter at the time UBS conducted its research.